Hire Our Team of Gardeners and Have the Garden You Have Always Dreamed Of! 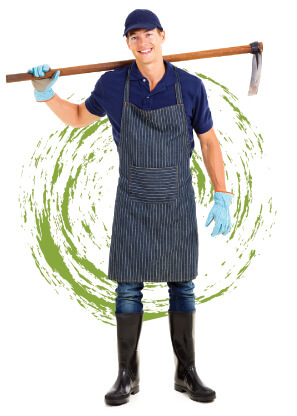 Gardening Services Gardeners is a professional and reliable company that offers all kinds of soft landscaping, hard landscaping, residential landscaping and other types of services which aim to improve the look of your garden by revamping, restyling and transforming it so that it becomes the garden that you have always wanted to have. Not everybody has their own garden, as those people who for whatever reason choose or have to live in an apartment, as a lodger or in another type of property and so if you are one of the lucky people that has their own little plot of land that they can do whatever they like with then why not make the smart choice of calling 020 3540 7140 where you can speak to our professional and experienced landscape gardeners who will be able to supply you with plenty of tips, designs and other practical and creative gardening ideas that you will then be able to use to form your own plan of how exactly you would like your new garden or other type of outside area to look. It doesn’t matter whether it the plot of land outside your commercial or residential property that you want to revamp and transform, nor does it matter how much room there is for our team of gardeners to play around with, as our landscape design company can make the best of what you have and the space that you have to make a garden that you have always dreamed of! Are you looking for a way in which to improve the look of your garden and make it seem much more attractive and presentable? If so then hiring our excellent and highly experienced gardening team is one of the best ways to get all of the landscape edging, garden landscaping, landscaping designs and other gardening services that have been made with the goal to achieve high quality, great, professional results when you are planning to improve the look of your garden or outdoor area. Our landscaping company can help you to make the most of your garden by making it a safe haven to return to at the end of a long, difficult and possibly stressful day as there really is nothing better than having a pretty, neat and tidy garden to be able to sit out in or potter about in. Gardens are the perfect places to hold parties, have a dinner party, chill out and relax in, let your children play in and entertain in, as well as of course being able to admire from the window when you are unable to go out and enjoy it perhaps when the weather isn’t all that great, so when you take all of this in to account why not hire our professional team of gardening experts to visit your commercial or residential property in order to provide you with fast and efficient services. By hiring our gardeners landscape team and calling 020 3540 7140 now, you can join the many people in the same position as you who have always wanted a perfect, beautiful and idyllic garden to enjoy, all of who now have perfect landscaped gardens thanks to our company! 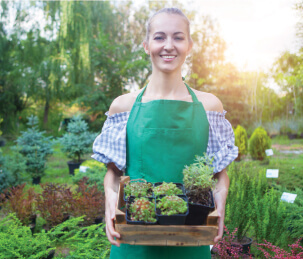 When it comes to landscaping companies and the services available to you, choosing Gardening Services Gardeners is always the right choice to make, which is why you should get in touch with us today!